Thank you for coming to our exhibition of learning today. 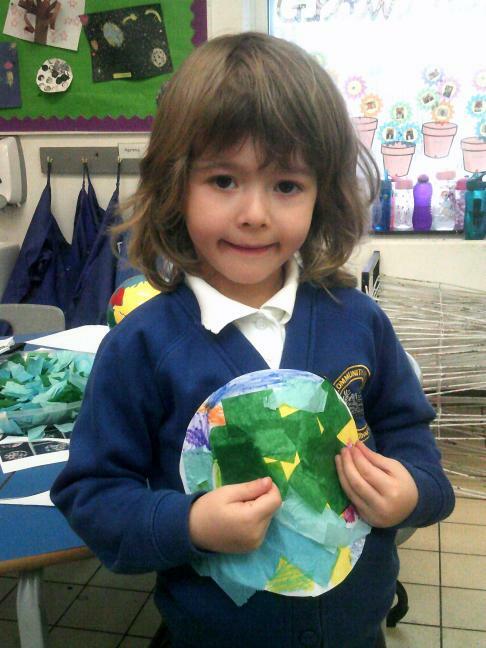 The children really do enjoy showing you all they have learnt. 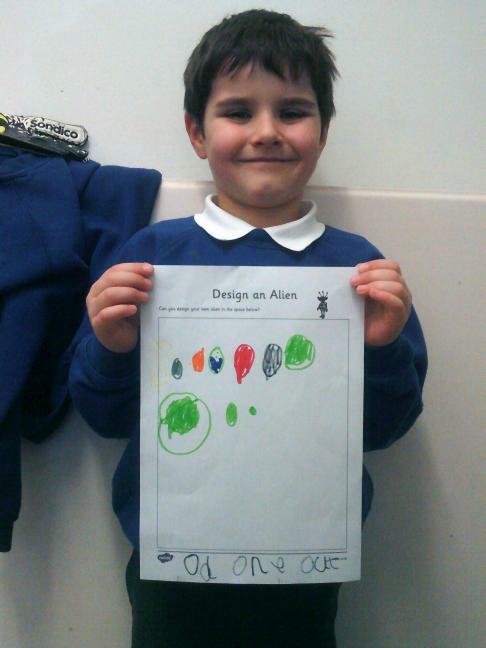 We have been thinking about what we know about space and what we want to find out. 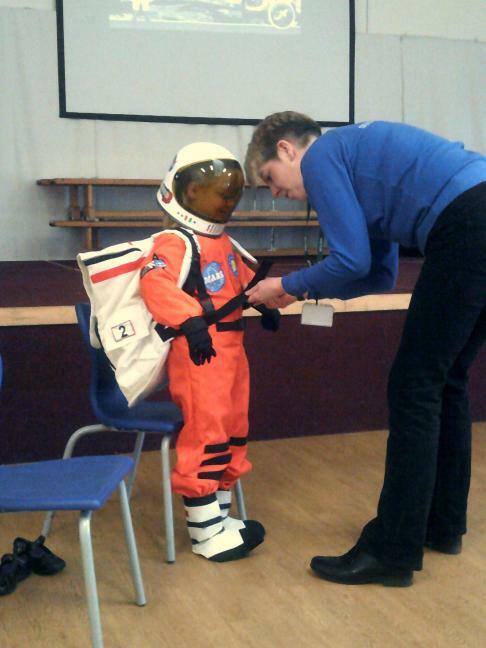 We have talked about what astronauts do and why you may want to be an astronaut! 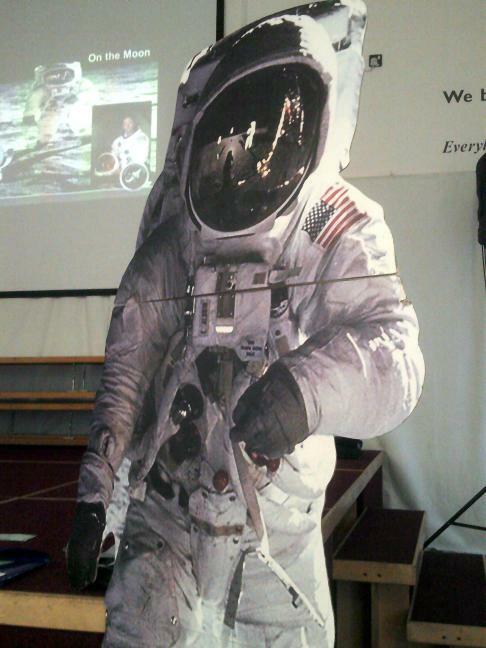 We are now going to find out about the first astronaut in space, the first person to land on the moon and a recent astronauts adventure into space. We are looking forward to our visit form Jo Ridardson next week from Space Detectives. 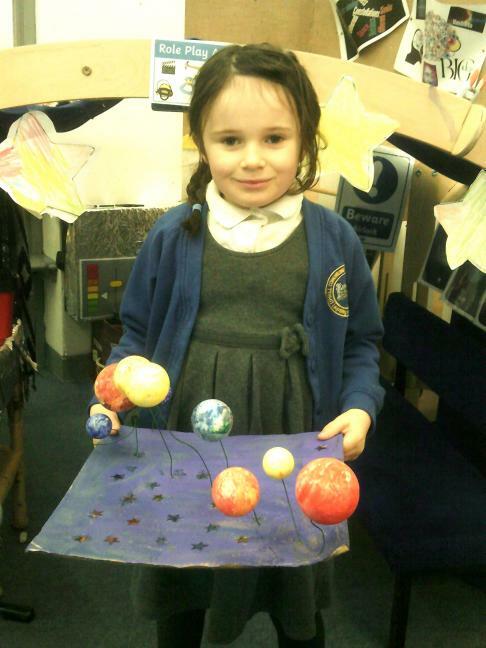 Some super home learning from models to mobiles all about space! 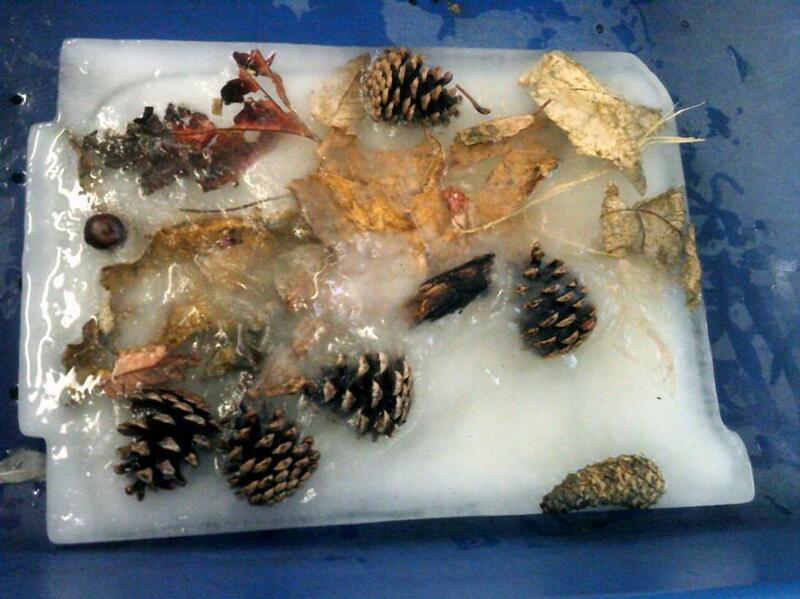 We had a great time exploring the Winter season and the signs we may spot, as well as our own science experiment! 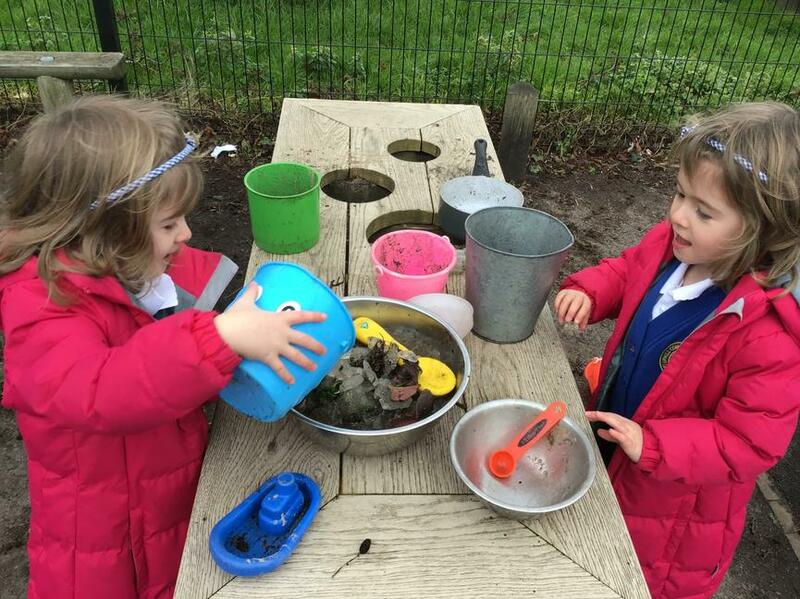 It was rather icy in our Mud Kitchen too! 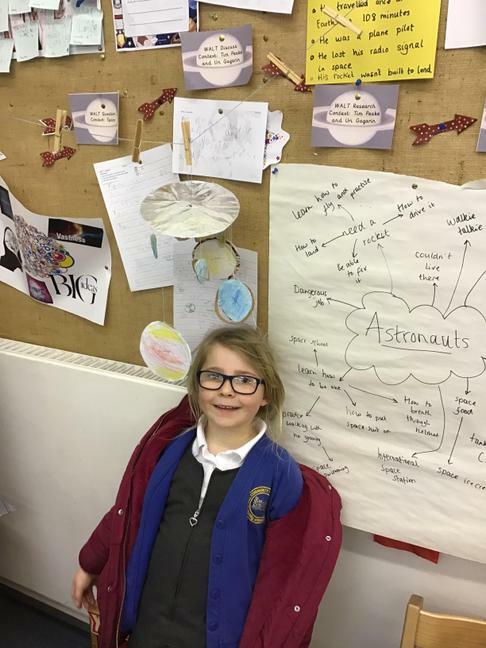 Some of our space wonders and arts and crafts. WOW! 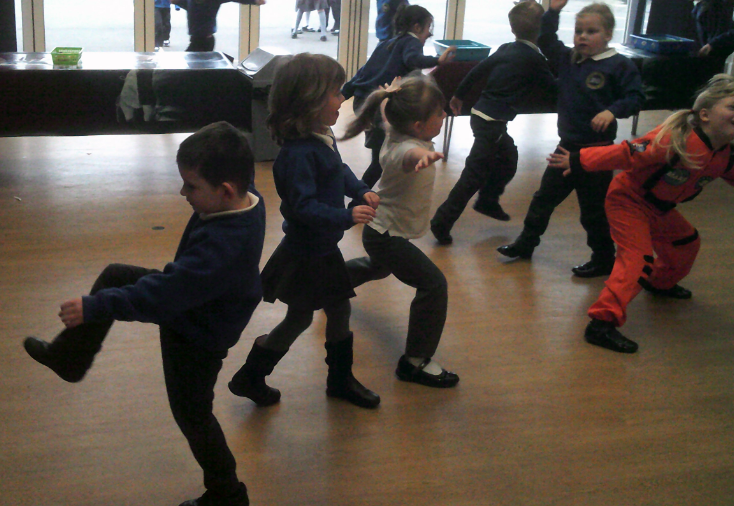 Our Space Detectives workshop taught us so much! 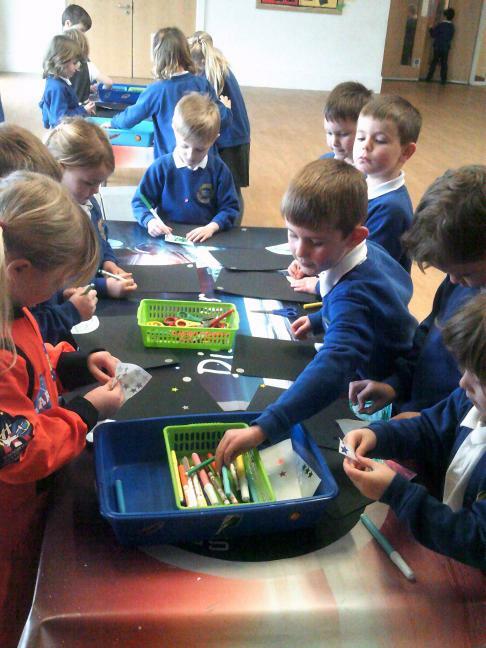 We can tell you all about Neil Armstrong and the Saturn V. We even made our very own miniature rockets and had a go at moon walking! 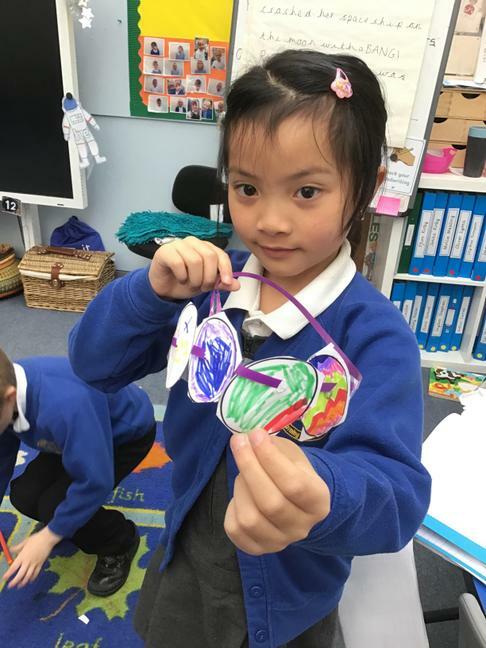 We have enjoyed finding out about Chinese new year this week. 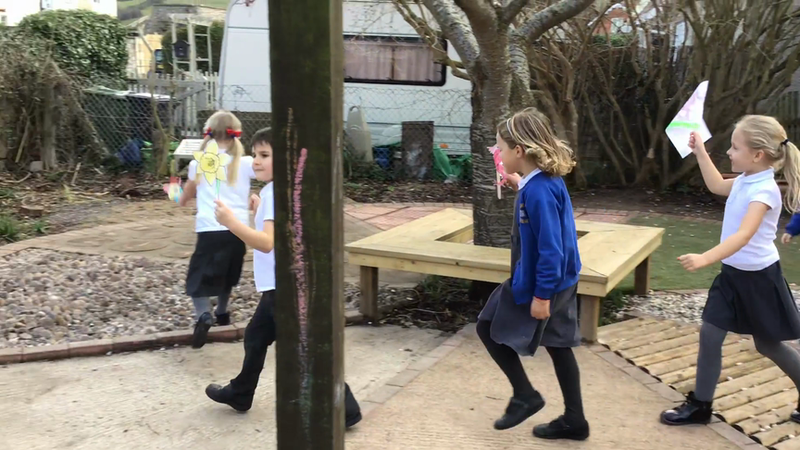 What fun we had this afternoon putting our junk model rockets to the test! We predicted where they might land once launched and then compared our real results. We discussed what we found out and were able to identify what modifications we may need to make to our rockets next time. 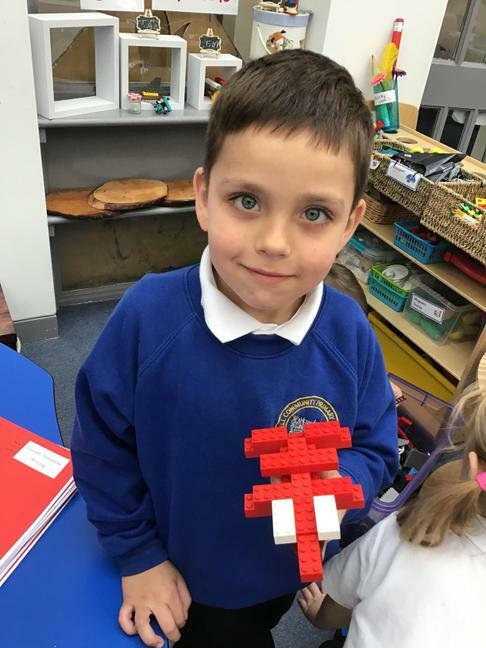 Thomas: "I would make wavey wings next time so it could move in the wind"
Leon: "The bigger rockets were too heavy to go far"
All children have been set a holiday challenge finding out about ICT from the past. We look forward to sharing these back in class after the half term holiday week. Children will have brought home a reading bingo sheet yesterday following our house assembly. 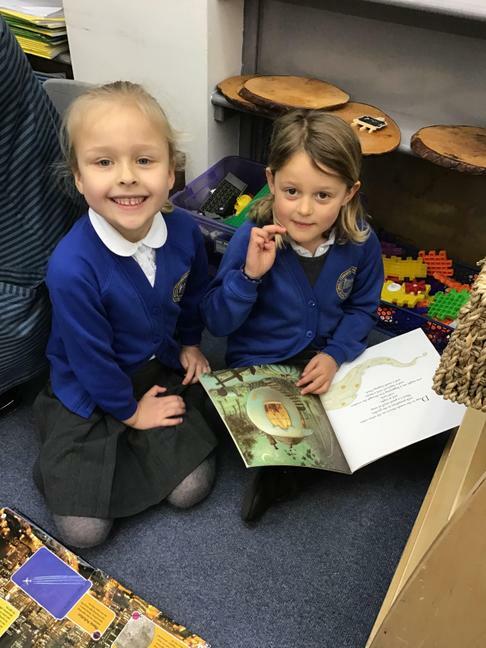 It challenges the children to read in different ways (e.g. outside, to a pet). Please tick each one when complete. If your child manages to complete a whole line of activities horizontally, diagonally or vertically they earn 10 house points per line for their house team. You have up to reading week to complete this challenge. Please return these to school during reading week Monday 4th - Thursday 7th March. Good luck. 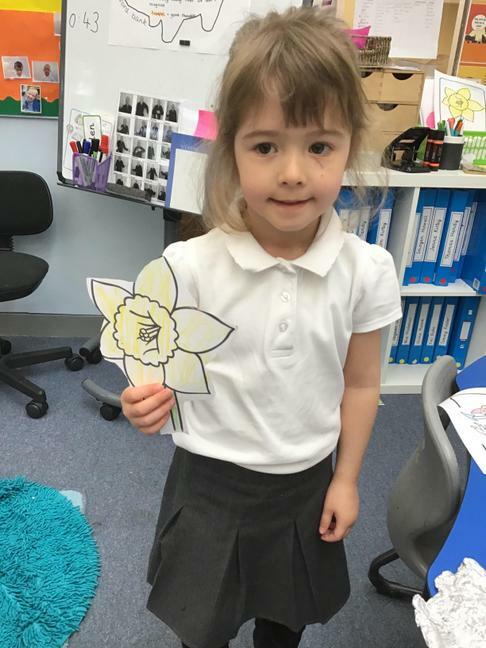 Celebrating St David's Day with Daffodils, building Cardiff Castle and the Welsh Dragon. 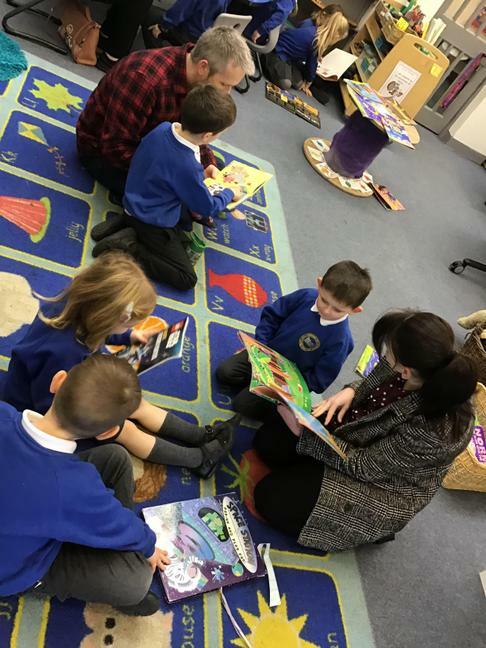 A huge thank you to those of you that joined us in kick starting Reading Week with shared classroom reading this morning, we really enjoyed spending some quality time with our books. We spent the day being very funny for Red Nose Day in aid of Comic Relief, wearing red and silly noses. Today we learnt about St Patrick and how St Patrick's Day is celebrated! 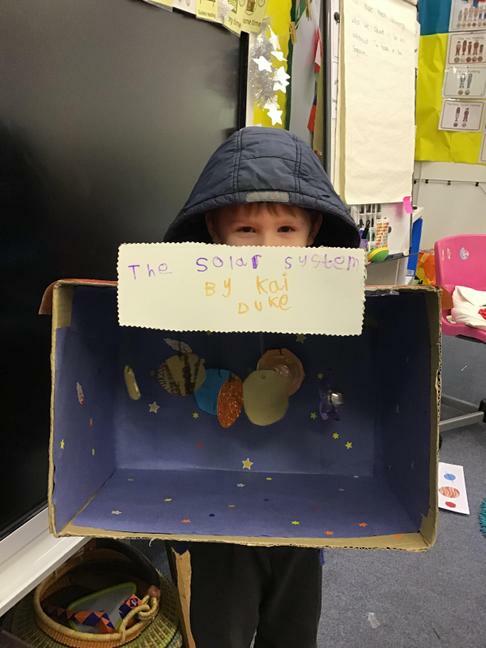 The children have all enjoyed being actors, acting out our space stories ready to write up next week. We set ourselves some measuring challenges this week, using both standard and non standard units of measurement. 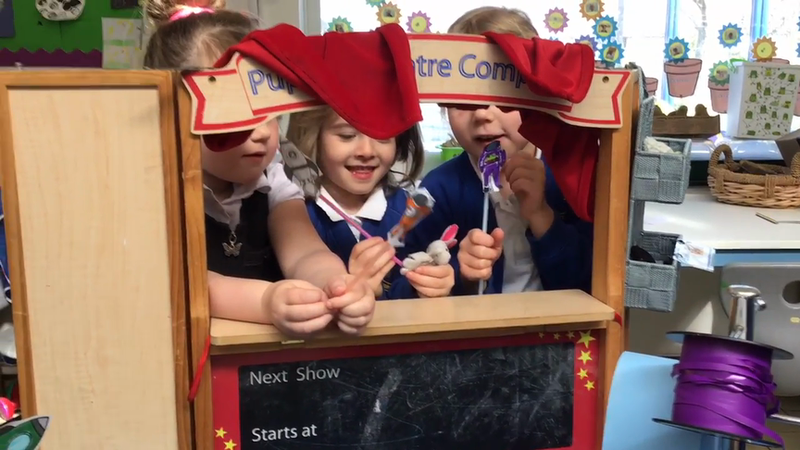 Amazing child lead learning in the art of a puppet show, demonstrating story telling and space knowledge combined. 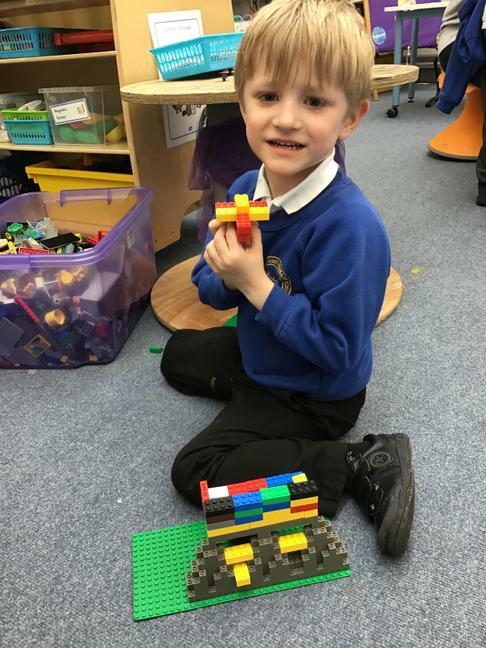 We have enjoyed investigating 3D shapes this week. We had a lovely visit from Reverend Madeley this morning who shared with us the Easter Story and why Easter is such an important Christian celebration. 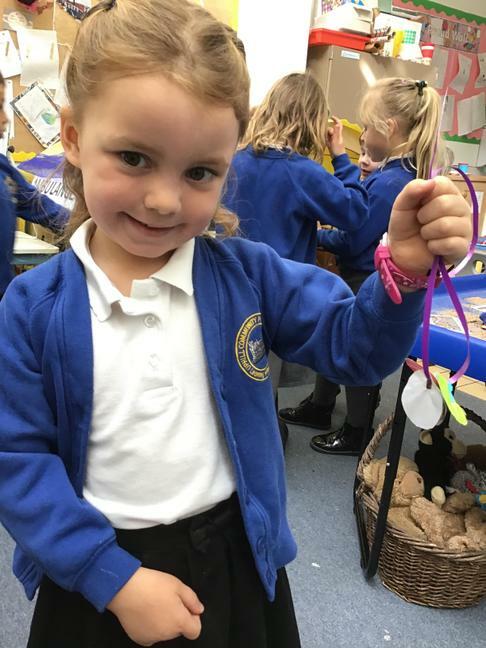 We have been celebrating the coming of 'new life' in our classrooms with Easter crafts and activities, and have loved sharing how we celebrate Easter in our families. 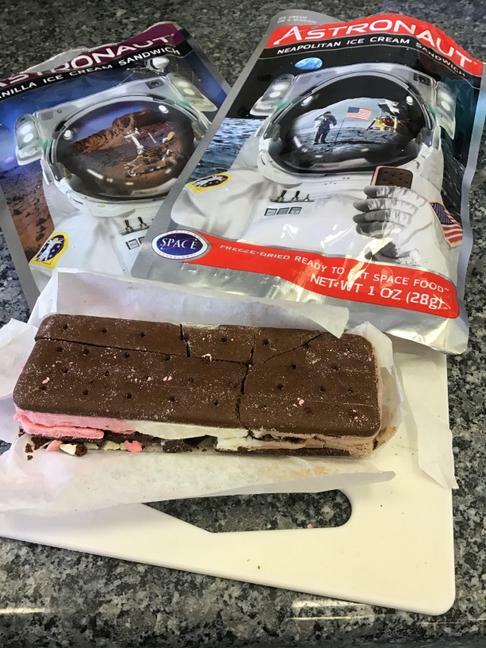 To end our space topic in true astronaut style, we were delighted to taste some real space ice-cream! 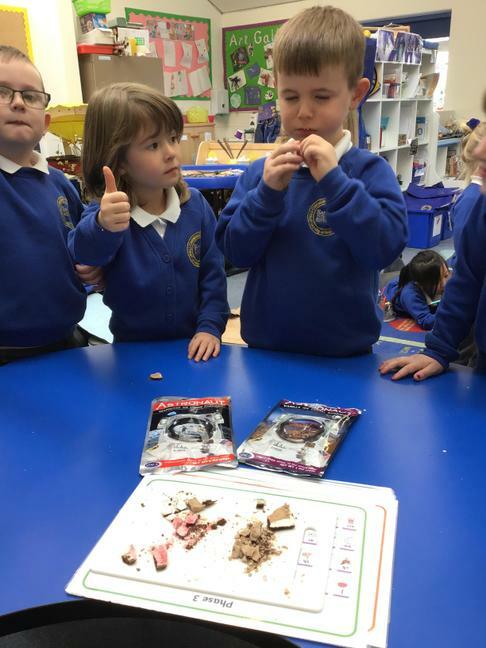 We were surprised to discover we liked it! 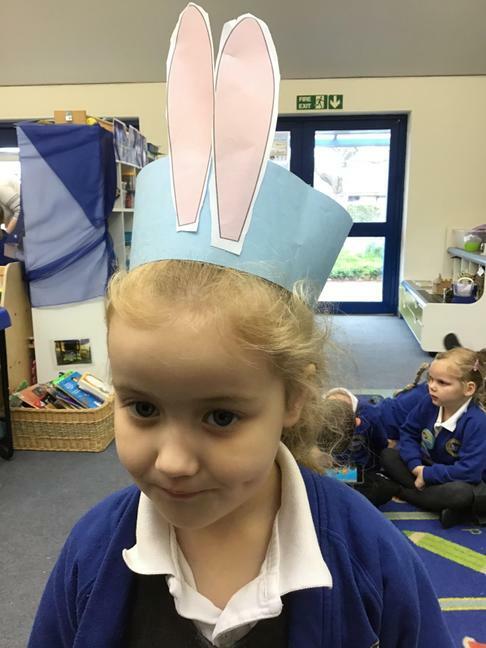 Easter Bonnets and Hot Cross Buns, what a wonderful day we had! We had lots of fun at our Christmas party, thank you to all our parents for providing party food! Thank you to all the parents who attended our Phonics Evening, we hope you found it useful and you have an understanding how we teach phonics in school. If you couldn't make the evening or would like a recap the presentations are below. We have had a delivery from Farm Link! The incubator is in Saturn class, we are all very excited to see them hatch in 21 days time...fingers crossed they all hatch! 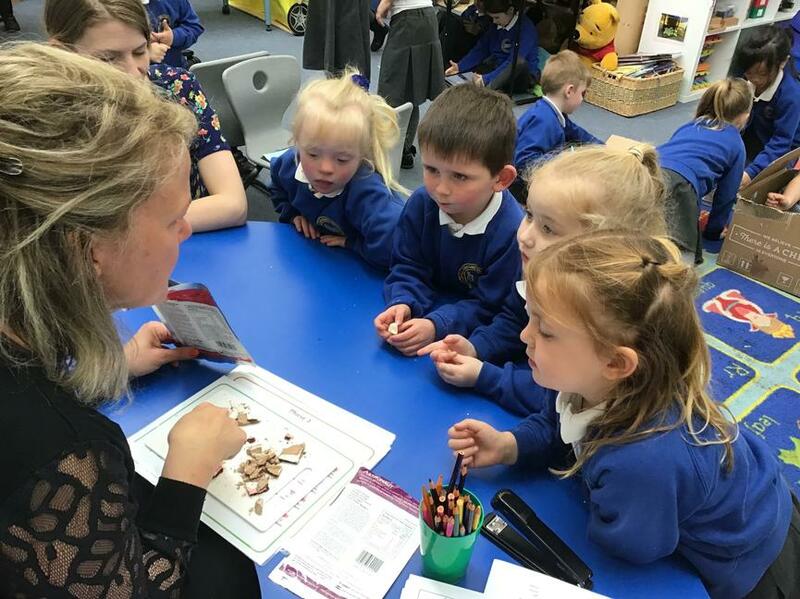 On Monday 22nd October we were lucky to have Lizy from Bristol Zoo come and visit us. She shared some very interesting facts with us and brought some unusual artefacts for us to explore. We saw a turtle shell, A springbok skin and some coral. After half term we will be thinking a bit more about the continents and we have asked the children to research different continents during the half term break to share with their class in the second week back. We will also be starting to practise out Nativity play, Year 1 parents please look in your child's book bag as most of them have some words to learn. 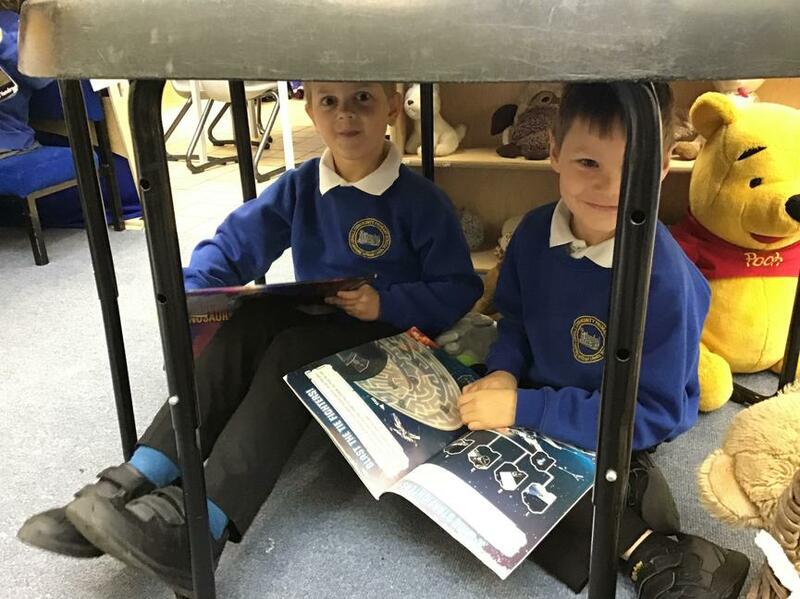 This week we have been introducing our story Under the Bed. 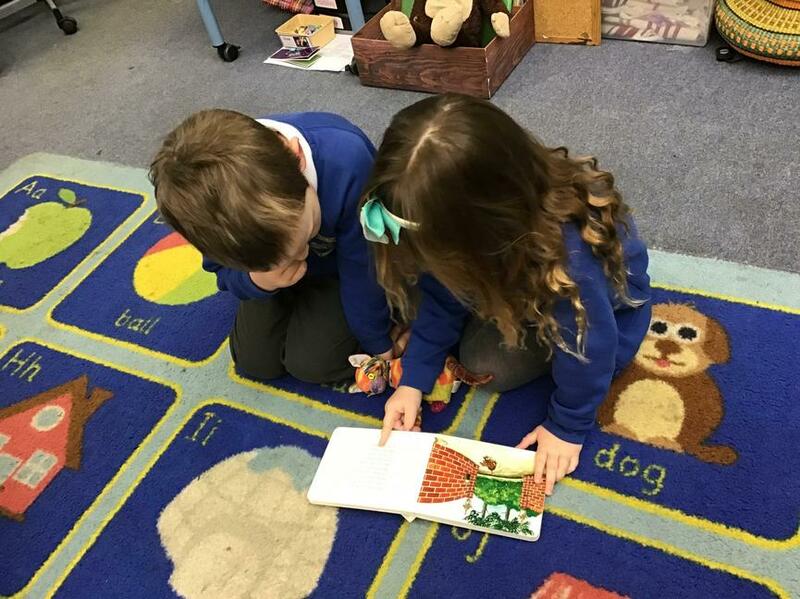 We have been discussing what we liked and didn't like about the story and what puzzled us. 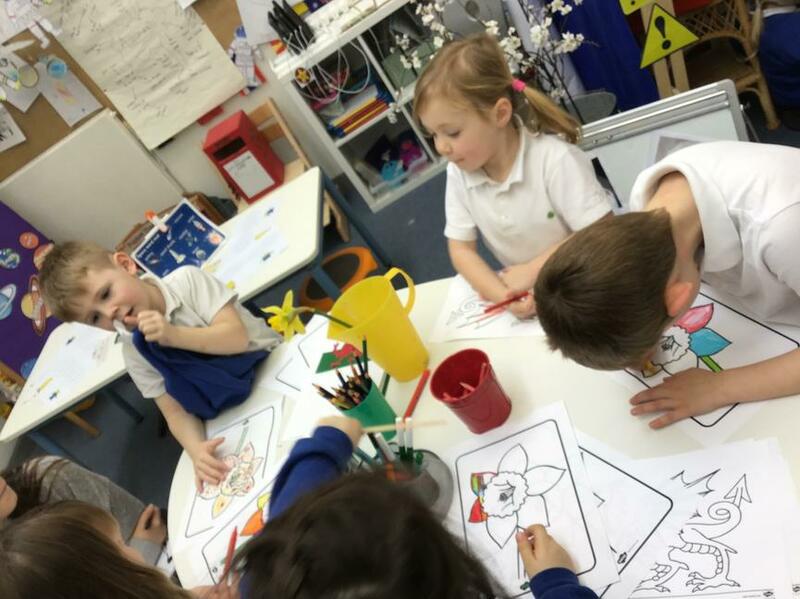 We have been retelling the story using pictures and props and have been talking about and describing the characters in the story and making them in our play. 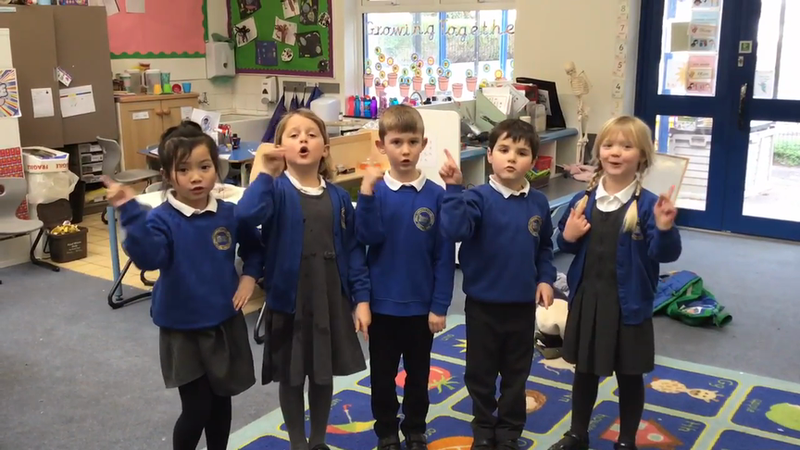 We have been using our phonic sounds to create words and comparing numbers. 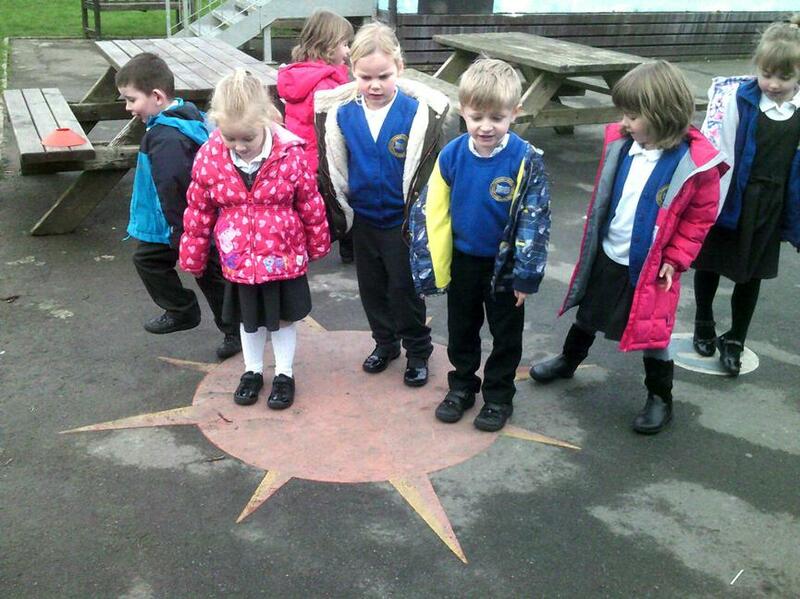 We have been investigating what happens outside in Autumn. We have been on a nature walk and have been discussing, describing and writing about what we discovered. We made animal collages with the things that we found on our walk. On Friday 28th September we were lucky to have a visit from Grace and Mac from Puxton Park. They brought with them four of their amazing animals. First we met Charlie the Madagascan Hissing Cockroach. 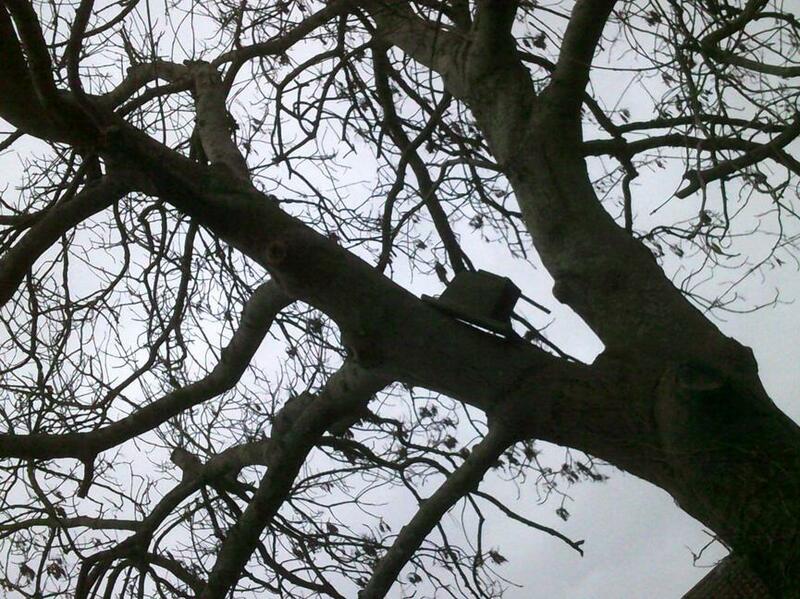 We learnt the he likes to eat rotting fruit and that he can’t fly like other cockroaches. He pretends to be a snake by hissing to scare away his predators. Next we met Carol the Chicken, she sat on Mac’s hand and was very tame. We learnt that chickens eat worms and slugs and that they can’t fly as their wings are too small. The Next animal that we met was Choc-o-latte the guinea pig. 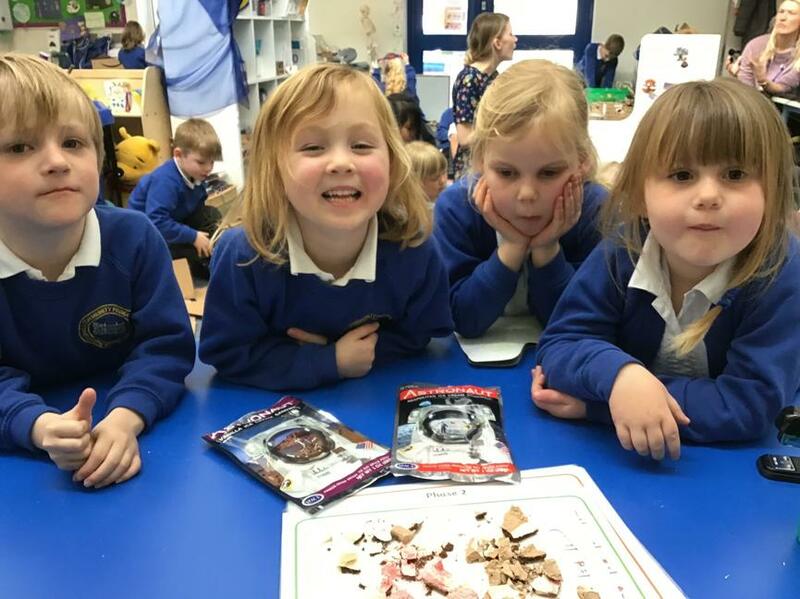 We learnt that guinea pigs like to eat salad leaves and hay, and that some of the children have pet guinea pigs at home. Finally we met Hamish the Belgium Hare, he was black and tan and had long ears, long body and long powerful legs to help him run fast. We learnt so much Thank you Puxton Park.